The U.S. National Aerobatic Championships are just a week away. 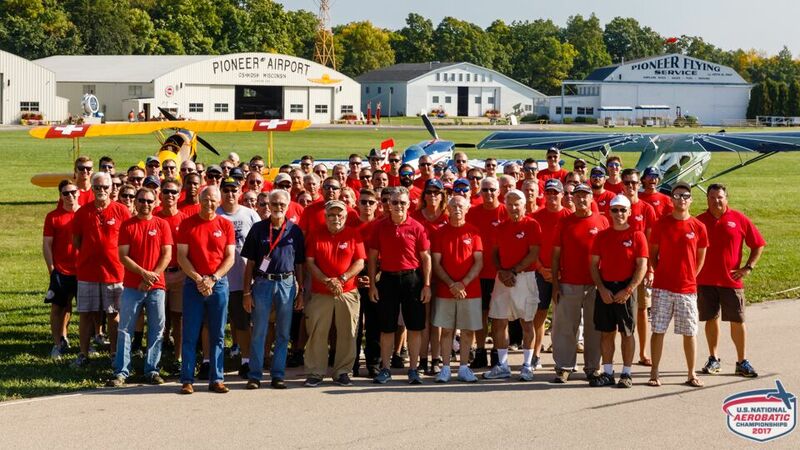 Opening Ceremonies take place on Saturday, September 22 at 11:00am in the EAA Aviation Museum's Founders Wing. Over 80 competitors are preregistered with another 15 registering onsite. A large contingent of collegiate competitors are coming from Colorado, MSU and the USAF Academy, and the UND aerobatic team from North Dakota will be in attendance as well. The Collegiate Program Competition standings show MSU leading UND by a slim margin. The national championships count in the overall scores and could play a role in the final results for individual and team collegiate titles. The Regional Series also use Nationals as a wild card contest to help determine regional champions. Mid-America and Northeast competitors will benefit from attending Nationals since there has been a lower than normal amount of regional contests in their areas this year due to weather and other factors. We have a full panel of 7 judges for every category and five judges in reserve. Hangar space is again free in the big EAA exhibit buildings. In 2018 we are focusing on providing more opportunities for fun social interaction among everyone who is making the effort to attend. Our goal is to have some fun activities in the evenings to help build upon friendships that are so important to our sport. Saturday, September 22 is the Welcome dinner at the Nature Center. Monday is "Unlimited" Pizza Night, and the next night is Taco Tuesday. On Thursday we return to an old tradition of presenting flight medals off site at a banquet facility. Thanks to our sponsors, these special meals are presented to participants at no charge. Visit our sponsors and extend your thanks when you have the opportunity. We'll see you soon in Oshkosh!